As you might remember from before, I am a sucker for architectural details. There's always a good chunk of pictures of buildings any time I travel. Obviously this trip to New York was no different! 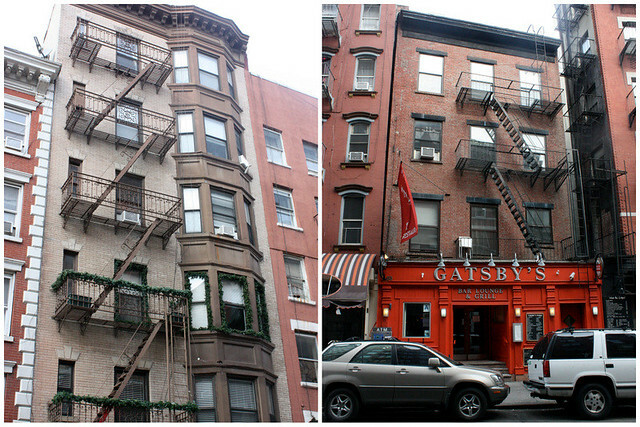 I've been to NYC a number of times, but I just love these older, ornate buildings. 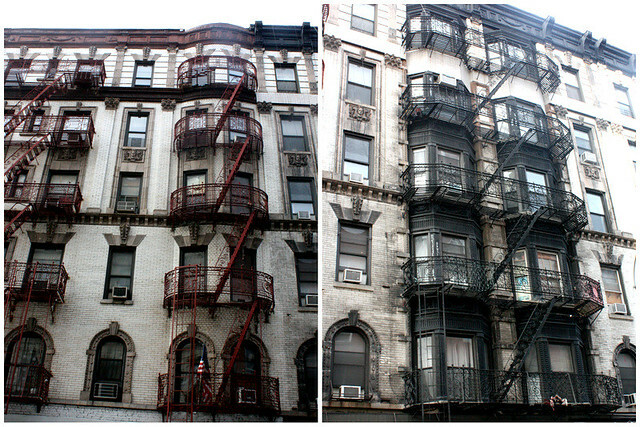 I have a curious obsession with fire escapes especially. We have them here in Montreal and I just swoon every time. I point them out to whomever I'm with and continuously get excited about them. Sound good to you? Ok, then stop reading right here! A) There's no way I could actually sit on one of those things. They are not solid, but the latticework actually allows you a pretty good view straight down. I can't even use use stairs like that without feeling a little weak around the knee area. Anyhow, even with knowing all of this, I still entertain these romantic ideas. I love the look of those as well. I think we just find them very exotic and movie-like. Yeah, I think that's exactly it. We've all seen them on TV and they just seem so different. 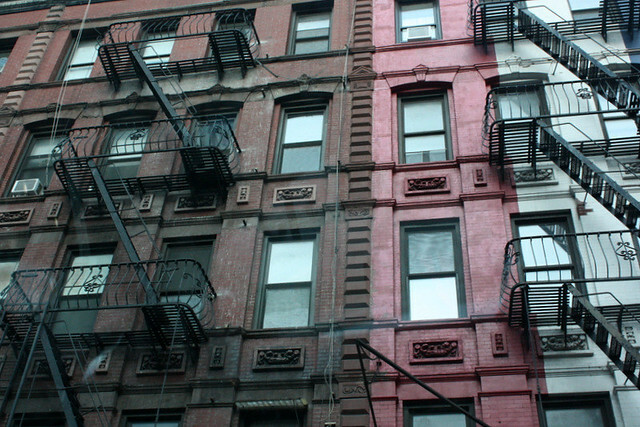 I have a thing for fire escapes as well! They're just so unique, and we don't have anything like that here. Also is quite fascinating how something so trivial such as a fire escape can actually turn into a great architectural deatail and be like an real embellishment for the building. Great pictures as usual, Katri! Thanks Fab! I also find it that North-Americans who I point them out to are not impressed. They just think I'm a little nuts. "Those crazy Europeans"
Ever thought about getting a customized stamp?